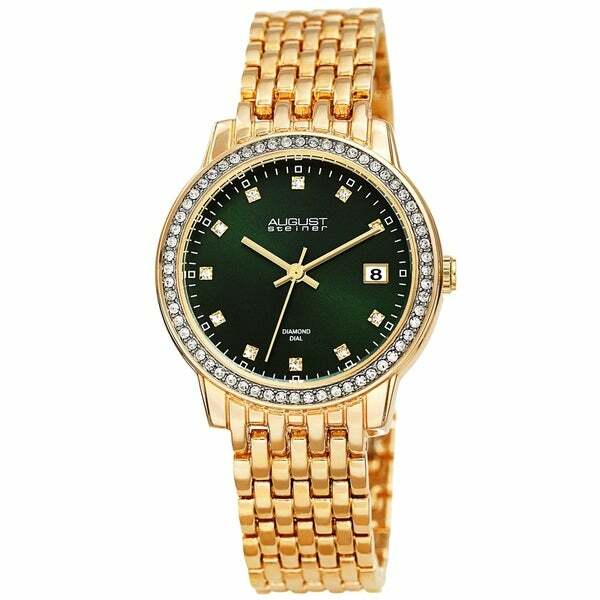 THIS WATCH HAS GEORGEOUS COLOR OF DARK GREEN ON FACE -- JUST LOVE IT, THE GOLD SHADE IS ALSO BELIEVABLE. THE ONLY THING IS CLASP WAS VERY TIGHT, HAD TO REALLY PULL TO OPEN IT, BUT BETTER THAT THAN TOO LOOSE. EXPENSIVE LOOKING BEAUTY!